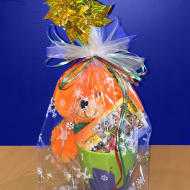 Stop by the Visitors Center shop to pick out gift wrapped holiday baskets and sets. They come beautifully assembled and make great secret Santa gifts or client gifts. In addition, to the gift wrapped holiday sets, there are many unique locally made Fort Wayne cutting boards, coasters, shirts, and much more that make great gifts to give to family and friends. The Visitors Center is also a great destination for shopping local products from DeBrands, Vera Bradley, OliveTwist, Glassique Art, Hedgehog Press, USI t-shirts, and much more. 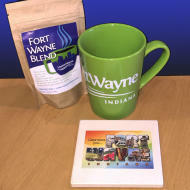 From the perfect gift for your coffee-loving coworker to baskets of all things Fort Wayne, there is something for everyone. Shoppers can choose from various coffee mug gift set and baskets of cutting boards and olive oil. There is even a set with a Hot Chocolate on a Spoon! For larger gifts, check out the afghans that you could pair with a mug set. Now that you know what you can get for that special someone in your life, the Visitor Center elves can help you package up your gifts for friends, family, coworkers, and clients with gift wrapping. If you shop from November 23 to November 28, there are special deals on wrapped gifts and holiday items online and in the Visitors Center. In addition, we suggest stopping at the Visitors Center during Holly Trolley on Saturday, November 28. During this time the Visitors Center shop will be open from 11 am - 5 pm and shoppers will receive a 20% off coupon that can be used on a future purchase. 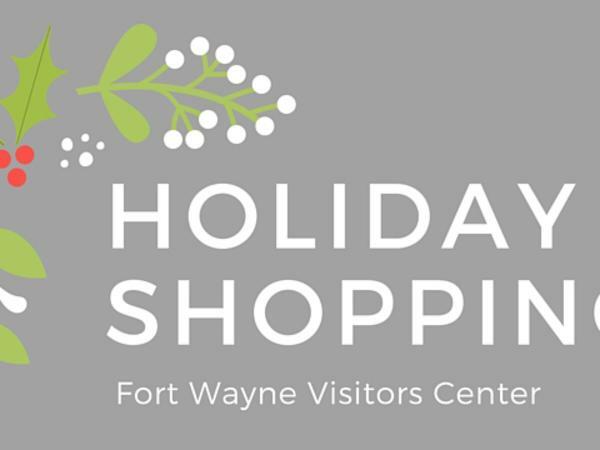 For more information on special deals taking place through the holiday season like Visit Fort Wayne and Host them Here on Facebook. 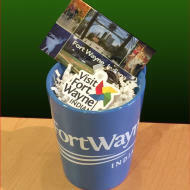 Make sure you stop by the Visitors Center at 927 S. Harrison Street or visit us online for all of your holiday gifts.